Early in life, Joseph Stalin became convinced of the inevitability of social revolution. And in it, he was determined to play a prominent role. He carefully masked his great personal ambition during his long climb to power and devoted all this energies to furthering the cause of Lenin and Bolshevism. Only after Lenin’s death, with the Bolshevik takeover of Russia accomplished, did Stalin’s comrades in leadership find themselves forced to bow to Stalin’s willor be eliminated. His rise to power was bloody and ruthless, yet under his twenty-nine-year leadership, Russia became a mighty industrial nation. Illiteracy was banished, interest in the arts began to flourish, and Russia moved toward amazing scientific triumphs. 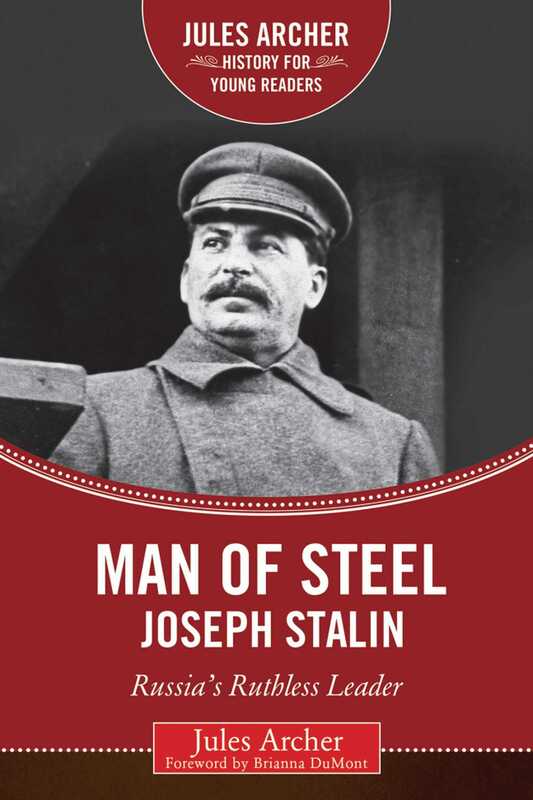 Man of Steel is the story of Joseph Stalin, the man who rose to become absolute master of Soviet Russia and who cast his shadow over the entire globe.